The development of new knowledge is a fascinating exercise. Since human evolved, they have been driven by curiosity to learn more and more about nature. Over time the knowledge accumulated came to be systematized and this is what we call science. The hunger for knowledge deepened and expanded our collective understanding of nature. This knowledge is utilized to create tools and other artifacts that humans use to improve conditions of living. Science has always been a collective activity, though under capitalism today there are attempts by corporations to claim ownerships over knowledge through the exercise of Intellectual Property Rights–in the form of patents, Copyrights, etc. The story of how antibiotics were developed and how they found applications in medicine is a story that illustrates how knowledge develops. Not as a magnificent discovery by one scientist, as we are often told, but as a process that involves a number of steps and contributed to by a number of people. Further the story of antibiotics does not stop with its discovery. The current story of antibiotics is also a story about corporate greed and about how the benefits of science to society are under attack under capitalism. Let us first recount the events which led to the discovery of antibiotics. School textbooks tell us that the antibiotic era was ushered in through an accident. A British bacteriologist, Dr.Alexander Fleming, was careless in leaving his dish of bacterial culture (i.e. a dish with nutrient material for bacteria to grow) out in the open when he left on a holiday. When he returned after several days he found that a mould (a kind of common fungus, like what grows on stale bread or cheese) had accidentally grown on a part of the dish of bacterial culture. He also found that in the area covered by the mould there was no bacterial growth! And that is how the world’s first antibiotic–penicillin–was discovered. Fleming named the mould penicillum notatum, from which the name penicillin was discovered. Actually there is much more to the story. Fleming was not the first person to think of using moulds (or other living organisms) to treat infections. We have evidence that fungus was first used thousands of years ago to treat infections. The ancient Egyptians, for example, applied mouldy bread to infected wounds. Similar practices have been recorded among the ancient Greeks, in Serbia and even in India. In Russia,warm soil–probably containing moulds-was used by peasants to cure infected wounds. We don’t know how effective the treatments were, nowhere near how effective modern antibiotics are for sure, but the basic notion of using fungus to treat infections has existed for long. At that time the knowledge that infections are caused by bacteria did not exist, but the empirical knowledge that moulds can treat infections existed. In the modern era, in 1874, physician Sir William Roberts noted that cultures of the ould Penicillium glaucum that is used in the making of some types of blue cheese did not display bacterial contamination. Louis Pasteur postulated in 1877 that bacteria could kill other bacteria. So in 1928 when Alexander Fleming came up with the notion of using moulds to treat bacterial infections, he was not the first to do so. This is not to belittle Fleming’s contributions but to say that often many people have similar ideas when new knowledge is being created. The story of Penicillin does not end with Fleming’s ‘mistake’ in 1928. Fleming didn’t have the equipment or resources, nor a background in Chemistry, and couldn’t isolate the active ingredient in the penicillium mould that killed the bacteria. So not much progress took place in translating Fleming’s discovery into the actual use of penicillin. In 1938, Dr. Howard Florey, a pathologist, came across Fleming’s paper on the penicillium mould. Florey and his team undertook to unravel the science beneath what Fleming called penicillium’s ”antibacterial action.” A key colleague of Florey was Dr. Ernst Chain, a Jewish German émigré. After the Nazis came to power, Chain moved to England in 1933. Chain was to later learn towards the end of WWII that his mother and sister had been killed by the Nazis. In 1940 Florey, Chain and others in the team demonstrated that the penicillum extract cured mice with deadly infections–the first actual demonstration that penicillin could cure infections. They, however, grappled with the problem of producing enough pure penicillin that could treat a human patient as it took 2,000 litres of mould culture fluid to obtain enough pure penicillin to treat a single case of sepsis in a person. Dr. Norman Heatley, who also worked Florey is said to have used every available container, bottle and bedpan to grow vats of the penicillin mould so that he could produce enough Penicillin. Now aware that the fungus Penicillium notatum would never yield enough penicillin, Florey and Heatley started searching for a more productive species of fungus. With some luck they found that the fungus Penicillium chrysogeum, yielded 200 times the amount of penicillin as compared to penicillum notatum. With the use of various techniques Hearley and Florey got this fungus to increase its yield five fold. Penicillin had finally arrived as a medicine and was poised to change the way infections were treated. Penicillin was used during World War II in soldiers with infected wounds and the results were dramatic. While in World War I, the death rate from bacterial pneumonia was 18 percent; in World War II, it fell, to less than 1 percent. By the end of the war, American pharmaceutical companies were producing 650 billion units a month. Ironically, Fleming did little work on penicillin after his initial observations in 1928. In 1945, Fleming, Florey, and Chain—but not Heatley—were awarded the Nobel Prize in Medicine. Does the story have a happy ending? For decades it seemed so. Soon new antibiotics like chloramphenicol and tetracycline were discovered. 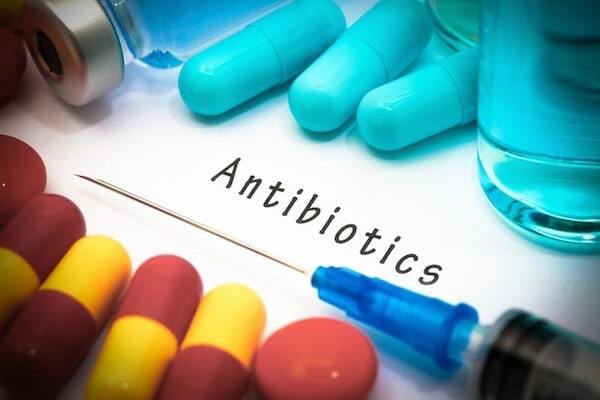 Soon others followed and now it became possible to develop new antibiotics entirely through a synthetic route, without requiring extraction from living organisms like moulds. These meant new antibiotics could be developed much faster and could be manufactured at much lower cost. Soon infectious diseases caused by bacteria became a rarity in developed countries and death rates fell in developing countries as well. Science, it seemed, had delivered the ultimate tool to conquer some of the deadliest diseases humankind had been plagued with for thousands of years. But then the story started changing. Infectious diseases were still killing millions in poor developing countries like India. These were the countries where infections flourished because bacteria attack the vulnerable–the undernourished, those forced to live in harsh unhygienic conditions, those already weakened by other diseases. With improvement in living conditions in rich countries and the ready availability of antibiotics, infectious diseases all but disappeared in Europe and North America. But the conditions that breed infections persisted in the developing world and though antibiotics were available, they were often too expensive. For example, in the 1950s, Indian prices for new antibiotic such as tetracycline and chloraphenicol were one of the highest in the world. Multinational companies such as Pfizer and Parke Davis had an almost complete monopoly and corporate greed won over societal needs. The situation changed in India only in the early 1960s when two public sector companies-Indian Drugs and Pharmaceuticals Limited and Hindustan Antibiotics Limited-commenced antibiotic production in India. By the 1970s pharmaceutical multinational companies started losing interest in antibiotics. Infections soon came to be seen as diseases of poor people in poor countries. Millions continued to die but these people (or their governments) did not have the money to buy expensive new antibiotics. So, as a result, pharmaceutical companies stopped researching and developing new antibiotics. They started targeting diseases in the rich countries, especially heart diseases. For example, world over, over 10 million people fall ill with TB, and about 2 million die every year (of them almost half a million in India). Yet till recently, the last drug developed specifically for TB was in the 1970s–almost 50 years back! Clearly the pipeline for new antibiotics has dried up. When Alexander Fleming was conferred the Nobel Prize in 1945,in his acceptance speech, he had warned that the overuse of penicillin might lead to bacterial resistance. Fleming had been uncannily prescient. Over time bacteria have developed resistance to the older antibiotics. This is partially a natural process and part of how every species tries to survive by adapting to adverse circumstances. We are now involve in a race with bacteria, as we develop new antibiotics, the bacteria after some years start developing resistance and the old antibiotics are not effective any more. We have, however, accelerated this process in several ways. Most importantly, antibiotics are being tremendously overused. Most common infections are caused by viruses, on which antibiotics do not work. Yet, routinely, physicians prescribe antibiotics for viral infections, including influenza, for example. Global data suggests that 40-70% of antibiotics are used in viral infections, where they are useless. Both pharmaceutical corporations and ignorant or unscrupulous doctors and hospitals stand to gain by pushing more and medicines, even if they are useless. Antibiotics are also being misused in veterinary practice. They are routinely used as ‘growth promoters’ in animals. In India this is routinely seen in the poultry sector and in fact you have to pay more to buy ‘antibiotic free’ chicken. The sum total of these follies is that the spectre of ‘antibiotic resistance’ now haunts the world. In her address to the United Nations, Margaret Chan, the then Director General of the World Health Organization (WHO), described antimicrobial resistance as a ‘global crisis’. The WHO and, in fact, the entire UN system is now engaged in finding ways to minimize the countries. Even rich countries are seeing resurgence of infections that they thought had disappeared. We are seeing bacterial strains that are resistant to all or almost all antibiotics. Our story has a mix of the good and the bad. It shows us that science, as a collective human endeavour, has immense potential. It also shows us that as a society, under capitalism, we often do our best to undermine the fruits of human knowledge.